"One-Click eCommerce Content Generation" is no longer a privilege just for the big guys. We are launching Adzis for Shopify App on March 11th 2019. 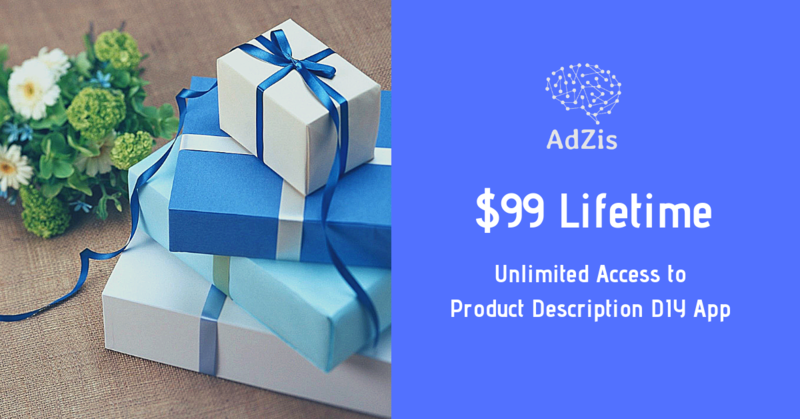 Unlimited products for the first 100 subscribers. No hidden cost. All you pay is $99. That too after the release. Get an early access to the app before anybody else. Your card will not be charged now. We charge you only after the release. Only for the first 100 subscribers..
$8 per month. You pay $49 for 6 months. We charge your card only after the release. 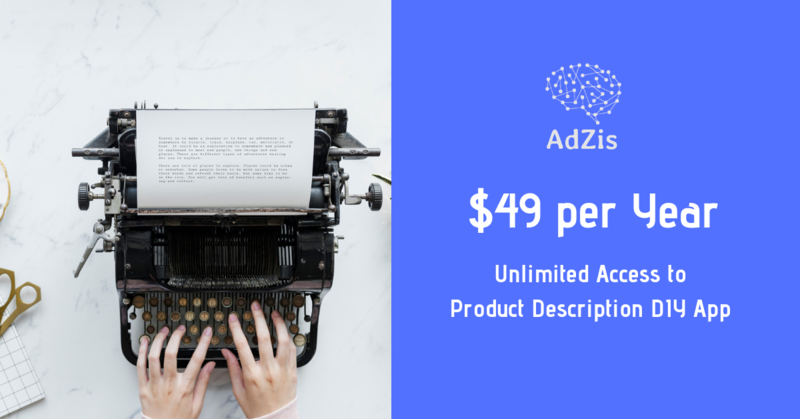 With AdZis app, you can now write product descriptions for your store in seconds. Soon to be Sold Out. Grab these offers before they're gone forever! If you forgot your password then write to us at "sales[@]adzis.com" to reset it. To try the app, click here.